What Home Features Do Buyers Consider Essential? - Mid America Mortgage, Inc. 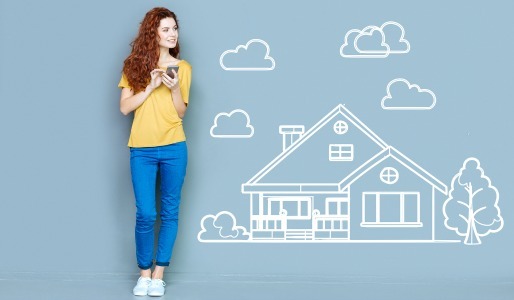 If you’re searching for a home, or planning on building a new one, chances are you’ve given a lot of thought to the features that are most important to you. For some, garage storage and formal living rooms top the list. For others, a laundry room and walk-in closets reign supreme. According to a recent poll conducted by the National Association of Home Builders (NAHB), the features that first time home buyers consider essential are remarkably similar to the features most wanted by repeat buyers. Interestingly, the top two features were identical for both repeat and first time buyers, but in reverse order. Home builders, remodelers, and real estate agents should take note of these features in order to better serve their clients and customers. Although we’re still in more of a seller’s market, it’s always good to know which features are more desirable in order to attract the right buyer. For instance, if you’re selling a home that lacks many of the above features, you may need to keep your price expectations in check and you may not attract as many high offers. However, if your home includes most, if not all of the above features, you’re likely going to have a higher market value, and will also likely fetch higher offers — maybe even above asking price. Another source, Professional Builder magazine, found similar results when they asked industry pros which features and trends were most popular among today’s home buyers. They broke the results down by categories: Design and Layout, Interiors, Kitchen, Bath, Exteriors, Communities, and Home Buying. Under “Design and Layout,” Professional Builder found that most people seem to be leaning toward smaller floor plans. The number of homes with four bedrooms and three-car garages has declined, with 2016 being the first year since 2011 that home size shrunk overall. Since then, it seems the trend has continued. Home buyers also seem to want open floor plans, flexible space to accommodate the changing needs of families, and personalization. Under “Interiors,” those surveyed expressed a desire for modern-ish designs, with the preference for contemporary styles passing traditional for the first time. Respondents also seemed to prefer efficient design with sustainable and energy-smart features. As for “Kitchens,” the desire for large kitchen islands has grown tremendously. Also, home buyers want more outlets, no doubt to accommodate charging needs for smart devices along with the growing number of gadgets and small kitchen appliances. Pendant lighting and quartz countertops are also in high demand for today’s kitchens. In the “Bath” category, home buyers want sleek designs, free-standing soaking tubs and water-conserving features. In “Exteriors,” survey respondents wanted outdoor living space, including fully-functional outdoor kitchens and plenty of space for seating/outdoor dining. They also expressed strong desire for low-maintenance materials and appliances such as outdoor smokers and even pizza ovens! For the “Communities” category, respondents said they wanted plenty of amenities for recreation and socialization. They also tended to favor the suburbs over urban living, debunking the myth that millennials typically prefer big city living. Finally, in the “Home Buying” category, today’s prospective buyers definitely want to own a home. Most of them prefer to begin their search for both homes and financing online, so it’s important for today’s real estate and mortgage professionals to be mobile-friendly.